Wherever you are in Nigeria especially in Lagos State, during the christmas seasons, there is always a place or area where all the fun will be held at the most interesting areas in Lagos State. Most of the areas like Victoria Island, Lekki, Ikeja are always the kinds of place to have such fun. Below are a list of Place around Nigeria esp lagos state, where you can also spend your xmas holidays with your families. Located at 40, Ndidem Usang Iso Road, Calabar, Supreme Dishes is certainly a place to be if you happen to be in Calabar, Cross Rivers State this Christmas season. With a beautiful décor and calm atmosphere, this is the place to have a private or family meal this festive period. Supreme Dishes serves fresh and hot meals at all times, and the sumptuous meals come real cheap to what you’d expect. For all local and continental dishes with a difference, Supreme Dishes must be the first place to come to mind if you must enjoy the best of Christmas in Calabar at this period with you lover too. 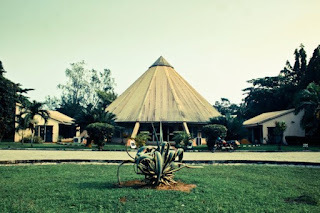 If you are in Ibadan, Oyo State this Christmas period, then you might have fun visiting the International Institute for Tropical Agriculture (IITA) Forest located at the Moniya axis of the ancient city of Ibadan. This forest reserve is home to over 2,000 species of exotic plants and hosts over 85 species of rare birds, while you might even be lucky to come across a big game on your path in the research forests. There is a lake 3 km long within the IITA forest with diverse fish species resident in it, and a leisure stroll as well as a sightseeing mission across the forest might be all the fun you and your family need this Christmas season. The Millennium Park is the largest public park in Abuja, Nigeria. You will enjoy this Christmas season by visiting the park, and the functional fountains and bright lights lining the park is enough to keep you glued to the palpable enchantments within the park. A small river runs through the park, and there is a section devoted to scientific study of the natural environment; this portion of the park is Italian-styled with a garden layout that keeps children fascinated with all they see. There is another portion of untouched nature where tropical birds and butterflies swarm about to delight visitors who have come to have a good time this festive December period. The Nike Art Gallery is located in Lagos, and is a world of arts for all arts lovers across the nation. Many people have visited this art gallery and stimulated to pursue arts as a career, while many others have been inspired into natural creativity and deep thinking just browsing through the artworks on display. Put on display are beadworks, painting, stone-works, carvings, traditional loom weaving implements, indigo dyeing materials, embroidery, singing and dancing arts, and music arts among others. This art gallery is a place to visit with your family this Christmas period. If you’re thinking of thrilling your children and friends with the sight of hippos, baboons, elephants, antelopes, lions, and over 70 wildlife species and exotic birds, then the Yankari Games Reserve in Bauchi State is the place to be this Christmas period. This is the largest natural reserve in Nigeria, and one of the greatest tourist attractions the country has on offer. Apart from enjoying the coolest safari with your lover, family, or friends seeing animals at the games reserve, you can also take time out to visit the Marshall Cave Systems and the Wikki Warm Springs for some exploration or a dip. Are you looking to enjoy quality time at a mini amphitheatre, restaurants, pubs, cinema galleria, entertainment arcade, and leisure facilities without leaving a spot this Christmas period? Then the Tinapa Business and Leisure Resort at the Calabar Free Trade Zone in Cross River is the place to be. Here you will be able to watch an 8-screen cinema, shop at retail and wholesale trade outlets, enjoy live music at the entertainment centre, watch live shows at the mini amphitheatre, let your children use the children’s arcade, and enjoy the best of meals at the restaurants or quality drinks at the pubs. Looking for a place to shop this Christmas period? Then the Ikeja Shopping Mall is the best place to spend some time. Located in the centre of Ikeja, the Ikeja City Mall is both a shopping and entertainment resort. The mall features cinema halls and kiddies zones where children and entire families can enjoy their time this Christmas period, and there are various restaurants within the shopping mall where you can enjoy the best of local cuisines and foreign meals. If you are in Jos or anywhere in the North-East of Nigeria and desire to visit a wildlife park with your family this festive season? Then you must visit the Jos Wildlife Park to have a natural view of wild animals in their natural habitats. Here you get to see elephants, crocodiles, buffalos, hippos, gazelles, pythons, lions, ostriches, baboons and other rare wildlife. There is a museum that stocks antiques and animal fossils within the park, and there is a video viewing centre where children can enjoy quality films. There is a wide pine forest which can be used for picnicking and there are restaurants to see the needs of hungry tourists. A tourist beach might be one of the best places to be this Christmas season if you are based in Port-Harcourt, Rivers State. The Port-Harcourt Tourist Beach is a scenic stretch of sandy landscape situated side by side with a beautiful body of water – which can be used for social picnics and family vacations. You also get to enjoy the best of cultural entertainment at the beach this festive period, and this adds to the fun of sunbathing, restaurants, and other live shows going on at the beach. It is the place to be with your family this period, and the place for lovers to consider visiting this Christmas season. If you are resident in Delta State and need a great place to be this December period, then you must think of the Abraka Turf and Country Club. It is located on the plains of the Delta coastline and offers savannah adventure with natural reserves against the background of a clear emerald river. This country club and resort would be excellent as a holiday retreat spot for families, considering the recreational facilities on ground to engage children and adults alike. It is that time of the year when event centres can make profits that they couldn’t make in 12 calendar months in just one day. Lagos will definitely be agog this Christmas; from street parties to carnivals to picnics and shows. Lagosians will be gearing to make the best use of the remaining days left in a year that changed our political climate. Therefore, we thought we should give our readers a guide as to the top 10 hottest fun spots to be in Lagos this yuletide season. GET Arena is Nigeria’s first and only all encompassing entertainment, corporate, social, and top notch establishment. This highly rated fun zone gives you a feel of what fun will look like in paradise for those of us who would make it. GET Arena incorporates an excellent Bar and Grill with salivating spread of the finest dishes, and most sumptuous cocktails, a Lounge blending this gourmet offering with countless options of events for people who know what it takes to enjoy life to the fullest, be it football match days, hen nights, dinner parties, birthdays etc.. There are also Goonies for the kids with all the arcade games you can think of, and the one and only state of the art go kart rack which surrounds the complex. Have you tried a burger with a go kart whizzing by you at 70 miles per hour. That is what it takes to spend your money at GET Arena this yuletide season. 12) La Campagne Tropicana Resort, Lagos state. La campagne Tropicana on a good day is an exotic lover’s den; one of the best places around to go on a romantic get-away. It is a luxury resort in Lagos made for quiet off-the-grid hideaways. Located at Ikegun, off Lekki / Epe expressway, La campagne Tropicana Resort is a fun-filled escape for everyone, a sea-lover’s paradise that is great for water sports, land sports, games and relaxing. You can lodge here with your partner or loved ones and enjoy all the fun activities the haven offers this season. I’m sure La Campagne Tropicana gives a glimpse of what Heaven would be. 13) Eko Convention Centre, Lagos state. The Eko Convention Centre of the Eko Hotels and suites is the largest multipurpose conference; banquet and exhibition centre in Nigeria, with a maximum floor space of 5,151 square metres. This facility provides sufficient space to fit 270 exhibitions stands; it also has the capacity to cater for dinner and conference events for up to 3,000 people and concerts with audiences of up to 6,000 people. 14) Tarkwa Bay, Lagos State. If you are looking for a place that will offer an air of serenity and tranquility away from the buzz in Lagos this festive period, then Tarkwa Bay is the place to be. The exotic Island will ensure that you find a means of escape from the craze and drama that comes with the yuletide season and still makes it possible for you to have a worthy time, probably making it your best holiday ever. When it comes to finding a fun-filled place to spend Christmas with the family or your significant other, Tarkwa Bay is the perfect choice. Located about 20 minutes from Lagos CMS Boat Jetty, it is surrounded with crystal clear water, sandy beach and warm atmosphere. It is the best place to experience exciting activities such as water skiing, jet skiing, boat cruising or having a picnic on the beach. There are plenty of fun things to do here. So what are you still waiting for. 15) The Muson Centre, Lagos state. The Muson Centre is a reputed place to watch the best stage plays and performances that will fascinate you in Lagos. It offers best traditional and contemporary performances that you can’t afford to miss. This season, there is a wide variety of stage plays and performances which will be in hot demand at Muson Centre. Therefore, it is the perfect time to watch the stage performances and enjoy an unforgettable day or night out with your friends and family. Some years ago The Muson Centre was a beehive of activities, notable stage plays that went down there were SARO ‘the musical 2’ and “The gods are not to blame” by the Thespian Family Theatre. If you want to see some of Naija’s finest on-screen personalities do what they know how to do best differently on stage, then The Muson centre is the place to be this season. 16) Silverbird Cinemas Victoria Island. A cinema is a place where you can take your family to on xmas holidays for you to have some nice time with your family watching a family movie. This can bring the family together and help strengthen the bond. Siverbird cinemas is a place to be during this xmas holidays with all the excitement and fun someone could have with his or her family while watching an interesting movie, eating and drinking. 17) Freedom Park Ikoyi, Lagos state. The project commemorated the 50th anniversary independence celebration in October, 2010 in remembrance of the Nation’s foremost fathers for their patriotism which ultimately led to the Nation’s Independence from colonial masters. Lekki Conservation Center is located on Lekki Peninsula, it’s one of the Nicest place with serene environment in Lagos. If you want to experience wildlife and biodiversity first hand, this is the best place to visit. You get to see a range of animals – mammals, reptiles and birds. You can have a picnic with your family while you enjoy the amazing view of the reserve. A picnic with your family is an exciting outdoor activity and it’s always fun and enjoyable. 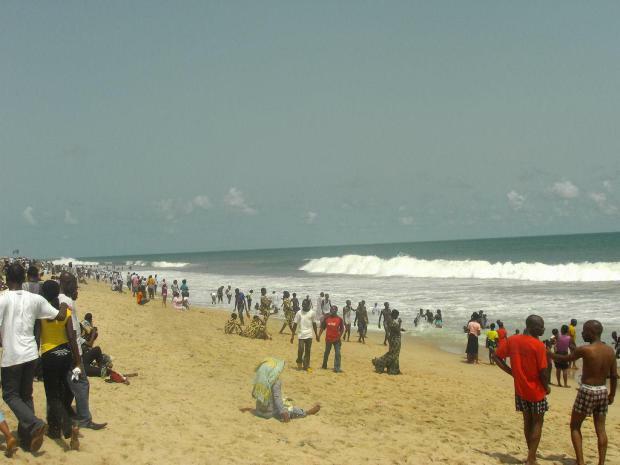 Elegushi beach is arguably the most popular beach in Lagos. 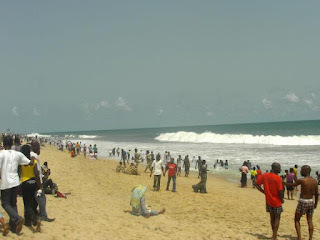 Located on Ikate elegushi lekki, elegushi beach is known for its sand bars. Many activities are available for sports enthusiasts including horseback riding, swimming and football among other popular beach sports. Though you may be tempted to jump into the water on a sunny day, swimming and surfing is seriously discouraged because of the strong churning currents of the sea. If you are thinking of visiting a beach in Lagos this festive season, the first beach that should sanely come to mind is Elegushi beach; its being there for donkey years and still firing on full cylinders. One thing I have know about lagos residers is that they love fun and they mostly do it inside the club where they can dance and drink all night. This is a place where all the days fun can end up in. Many big lagos boys like to throw parties and many people from overseas will come and spend their fortune before they think about going back. There are so many clubs around lagos examples are Club 10, Quilox to mention but a few. So I guess you will enjoy this years xmas holidays. While you are hanging out in the various locations, please remember life doesn’t end with 2017. 2018 is just around the corner and it does have 12 calendar months of challenges, no doubt. So all you need to do is prepare yourself for the new year and make sure to work hard and save for next years December fun.